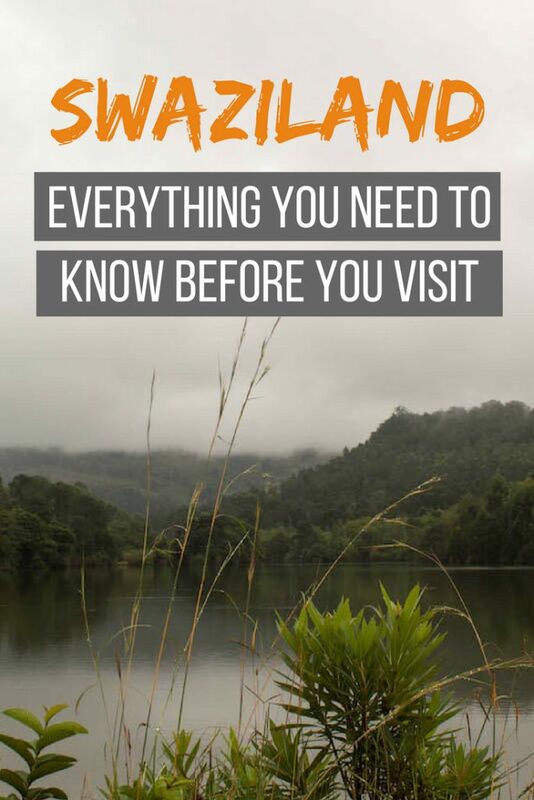 Most people travel through Swaziland without stopping or just adding one stop at a cultural village before they continue their journey through South Africa or Mozambique. During a recent long weekend, I went on a road trip from Johannesburg to Swaziland with a group of friends. I got to see small game (like kudu and zebra) during the first two hours inside the country. On another note, a week after we travelled the King of Swaziland changed the country’s name to eSwatini Kingdom. Swaziland is a small country in Southern Africa. It’s landlocked by South Africa on three sides and Mozambique on the East. 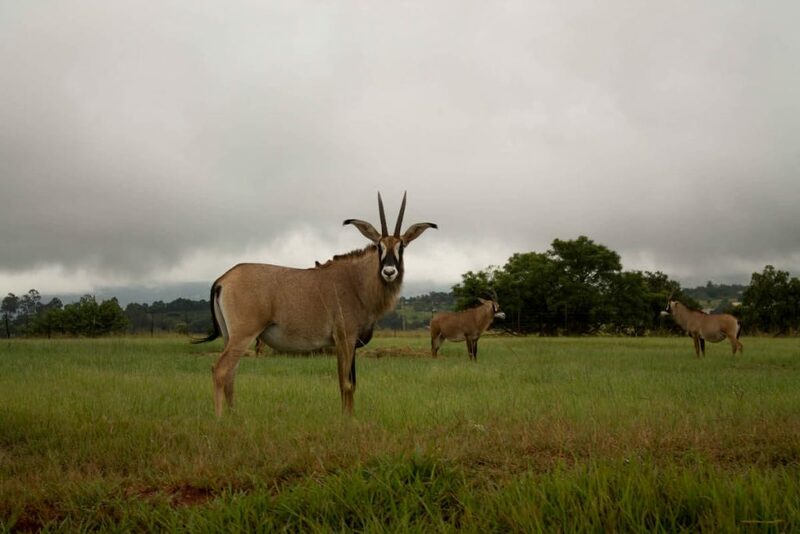 Swaziland is known for its Swazi culture and they are now trying to position themselves as a wildlife destination as well. 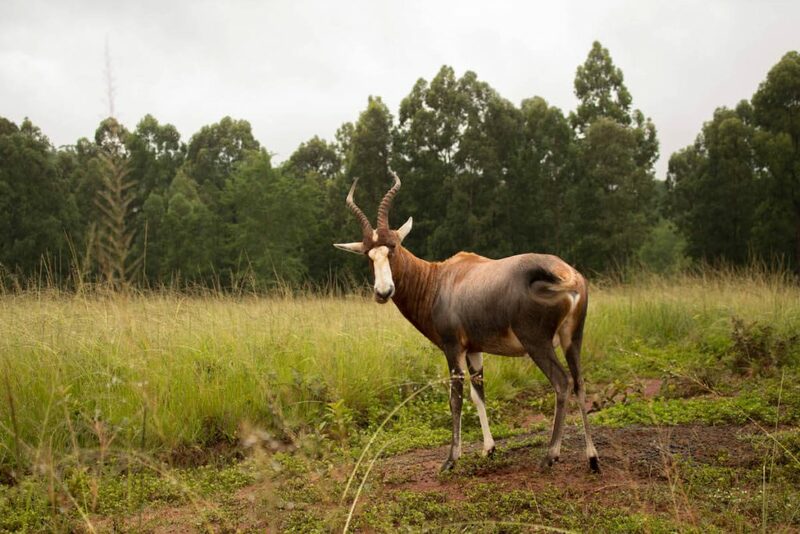 There are many different National Park and Reserves with diverse wildlife and there has been an effort to increase the wild animal populations. 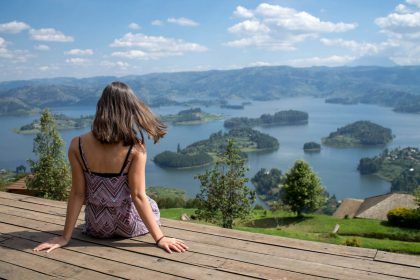 Swaziland/eSwatini still remains a fairly unknown country that gets overshadowed by its neighbours – established tourism countries in the south of Africa. Swaziland is an absolute monarchy. The King is Mswati III. Airport: There are two airports in Swaziland, although one is only used for the Swaziland Government and specific approved flights. King Mswati III is the International Airport. The airport is located in Manzini, 1h30min away from the capital. Road/Car: there are different roads entering the country from Mozambique and South Africa. The most used road from South Africa to Swaziland is the N17. From Mozambique the MR7. 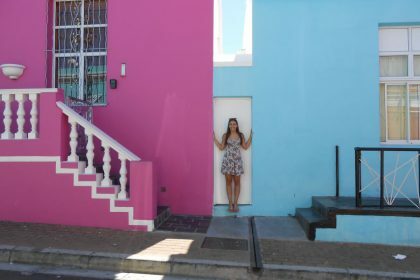 By mini taxi: Mini taxis (explained in this Cape Town post) are (usually) 12 people vans. In South Africa and Swaziland they are white. You can hail them and they cover most routes. There are mini taxis departing from Johannesburg Airport for about R200 one way. Like most countries worldwide Swaziland requires on entry a valid passport with a validity of at least 6 months and two blank pages. You can check in this list if your passport needs a visa before entering the country. The East area of Swaziland is a malaria area, so visit your trusted doctor to talk about preventative pills. Yellow Fever is not a risk in the country so you will only be required a proof of vaccine if arriving from (or having travelled to in the past year) a country with high risk. We used the Oshoek Border for entrance and exit. 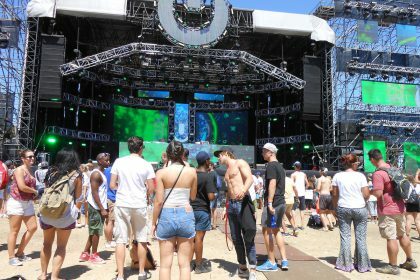 It took us two hours of queuing in the sun (arriving at 2pm) on our way in and about 10 minutes on our way out (at 7am to avoid queues). Keep that in mind for when you plan your drive – probably best to avoid peak hours. They drive on the left. Since we were doing a road trip, we drove everywhere. We found the signage to be excellent, there were signs for major cities, towns and attractions that were easy to follow. The road condition was good on major highways. Some small tar roads had a few potholes, but they were non-existent compared to the ones on the N17 road from Johannesburg. If you can take 1 thing out of this post should be the following: GPS is not reliable. 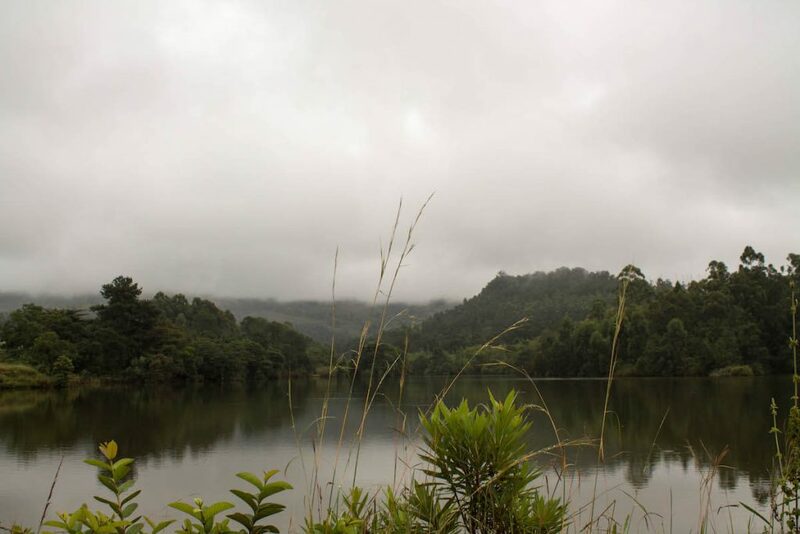 We mostly visited the Ezulwini Valley, Mbabane and Maguga Dam as general areas. We found ourselves driving up and down the Ezulwini Valley taking the major highway (as per GPS directions) when we had already driven the same route for half the time using another road. 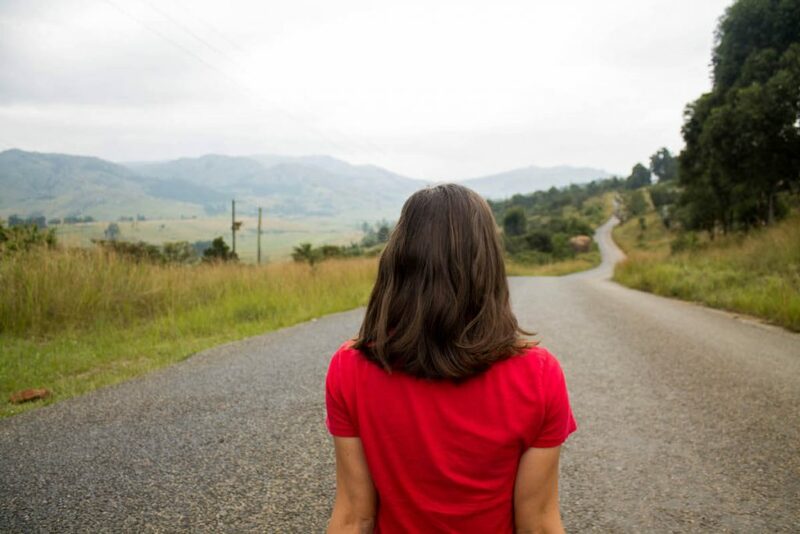 If you are there for a couple days you will start recognising routes and roads – follow your memory! This one is possibly a biased opinion as from 4 of us, 2 credit card details where stolen during our stay there. We had mostly cash with us as South African currency works in Swaziland and only some establishments like hotels or restaurants have ATM facilities. There are ATM’s everywhere, we saw at least 200 in 3 days. Swaziland is a safe country to visit. It is safer to walk around than other neighbouring countries. It is still not advised to walk at night alone. Throughout the country there are showcases of its traditional way of living, people can go to the cultural villages to see the structure of a home and learn about some of their histories and values. As someone who is somewhat sceptic about intruding on other people’s way of life (I wouldn’t like it if someone came to where I lived and wanted a house tour) I had never taken one of these tours. I found myself there as one of the waterfalls I wanted to see was right in the cultural village property and I was greatly surprised. Mostly because there are only rural places in Swaziland where people live in this traditional way and it is more of an historic village (no one lives there or has in the last 40 years). It was quite shocking to learn their perspective on different aspects of life, particularly regarding the roles of men and women. Although the accommodation industry is developing, there are for now only a few options to stay around the country. There are some big hotels and a few smaller guesthouses and boutique hotels that you can find on the usual platforms, like booking.com. 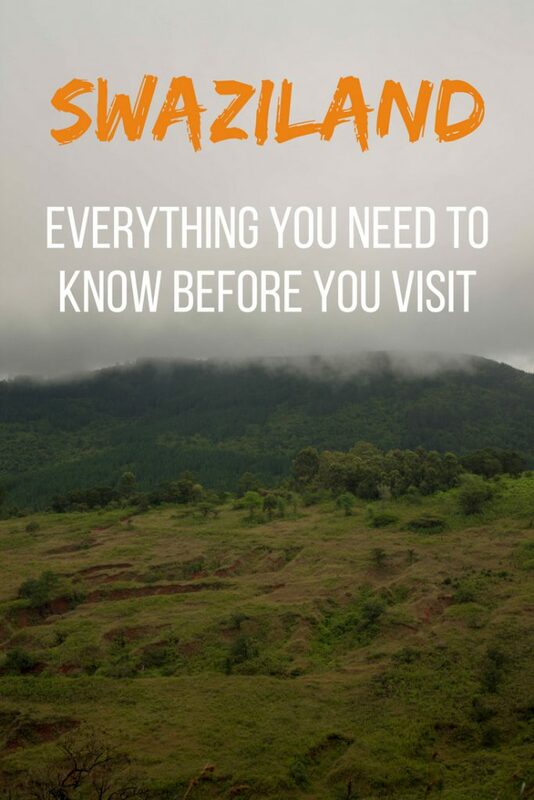 I recommend checking out the official Swaziland tourism board to check out accommodations that may not appear on other platforms. We found internet in all of our accommodations. It wasn’t the fastest speed but emails and WhatsApp could be checked reliably, and social media was possible in or near the main areas. They have wifi available in some restaurants too but not in all of them. You will most likely struggle to find WIFI at monuments or attractions – most of them are located in nature so internet is not a priority. You can buy a sim card upon entry to the country (airport or after the border) if you need to stay connected. The typical foods are maize, corn, vegetables and meat is considered a luxury. Goat meat is the most common meat around. 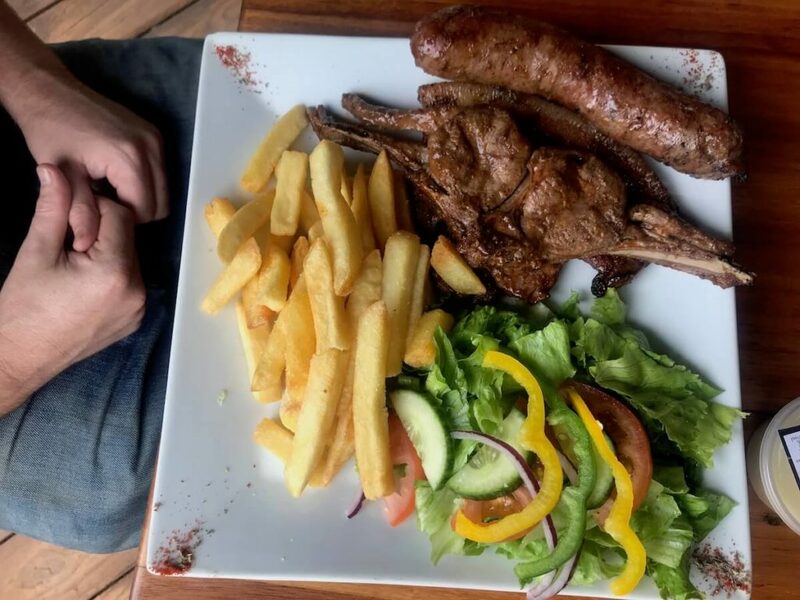 They do have a variety of meat available for visitors which I highly recommend, we ate Swazi braai (south African word for barbecue) and tried different animals – all of them delicious together with vegetables! Water is safe to drink in the main cities and tourist areas like the Ezulwini valley. In rural areas it is recommended to ask for bottled water. 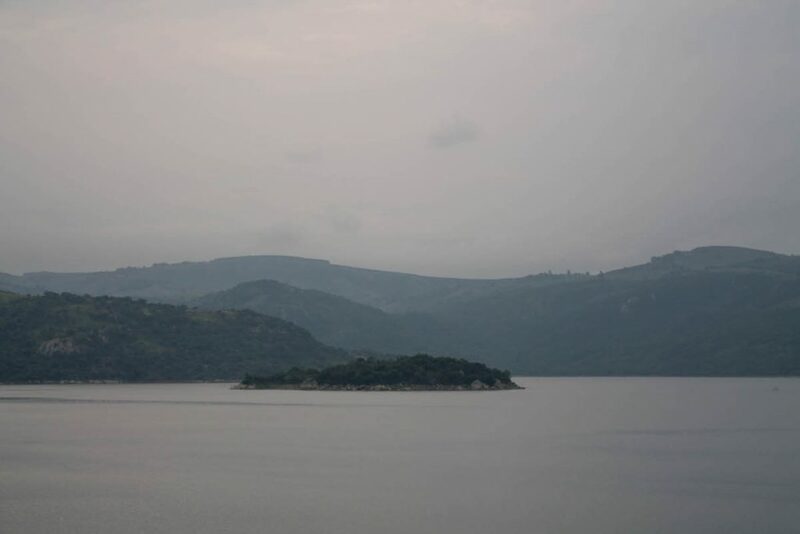 Swaziland enjoys different temperatures depending on the altitude. The highveld (in the West) is characterised by a temperate climate with cool nights in winter. 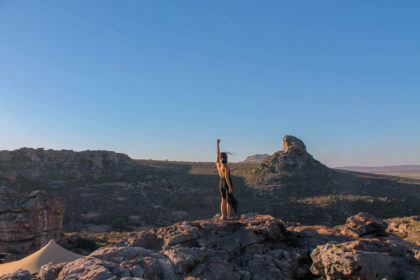 The middle veld(centre of the country) has higher temperatures, winter days are warmer and during summer it can get to 40degrees. 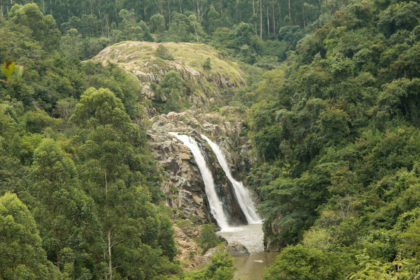 Lastly the lowveld (in the East) has warmer temperatures and summer can get unbearable, humid and hot. The coldest months are May to August. The rainy season happens from mid October to April and dry season April to mid October. 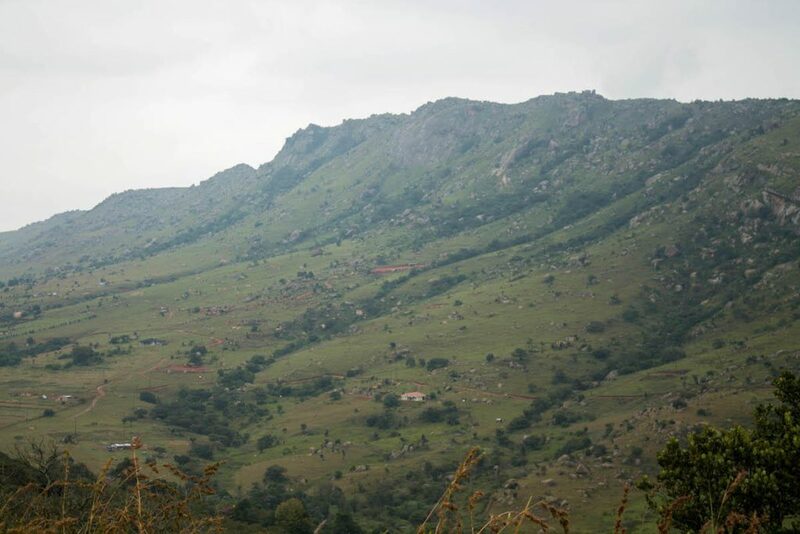 Have you ever been to Swaziland – eSwatini? 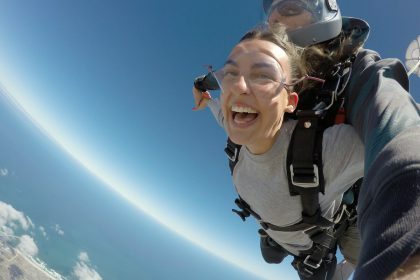 Planning a trip soon? Pin all the information for later!